Chicago is flat and fast, pure and simple! I've run this marathon in 2008 & 2014. In 2007 directors shut down the race due to the heat & running out of water, with many people needing medical aid on the course. In 2008 there was a bit of "over-kill" on adding aid stations in that there were 23 on the course. That, combined with the HUGE field of runners, caused a slow-down nearly every mile for the middle-of-the-pack runners like myself. Also, the fact they served bananas on the course and offered wet sponges left banana peels & wet sponges all over the course in the later miles, creating a hazard. Swag was good, expo was exceptional, but the race itself was a bit of a disappointment. The 2014 event was much more smooth. None of the slow-downs or hazards existed. Big improvement. 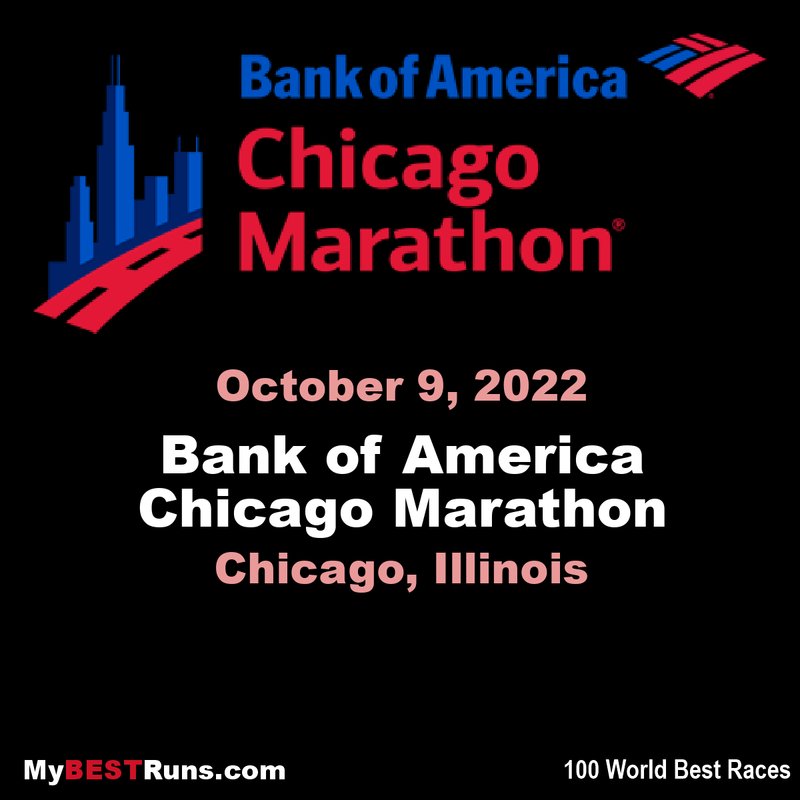 (2018) In today’s Bank of America Chicago Marathon, more than 44,000* runners crossed the finish line in Chicago’s “front yard,” Grant Park. 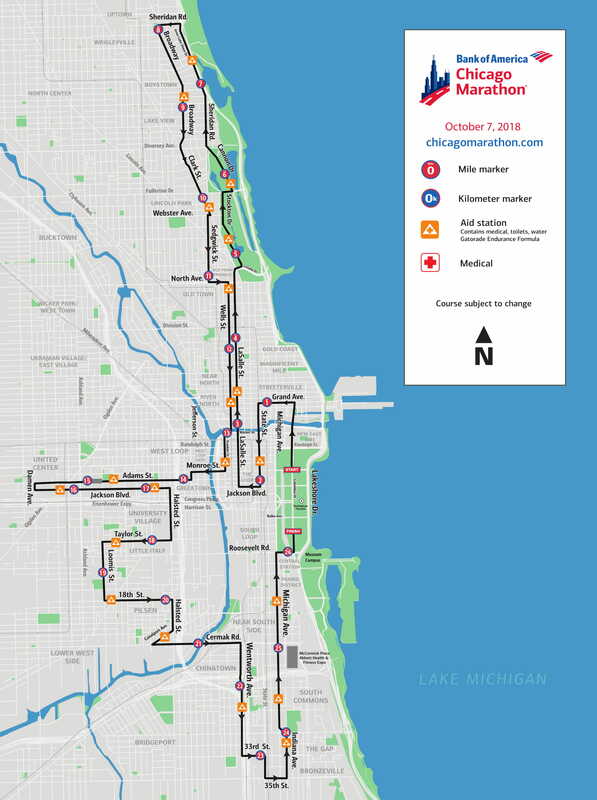 Beneath cloudy skies, and spotty rain –the first time since 2006 the Chicago Marathon welcomed a diverse field of runners from more than 100 countries, all 50 states and all 50 Chicago Wards. With the reinstatement of pacers and the assembly of a world-class field, this year’s event treated spectators to a variety of thrilling finishes. In an elite competition stacked with 11 men all with sub 2:08 personal bests and five women who have run 2:20 or faster, the stage was set for a competitive footrace from the official start to the exciting tape finish. The men’s race saw Sir Mo Farah (GBR) dismantle the European record and run the eighth fastest time in Chicago Marathon history, 2:05:11. 2018 Dubai Marathon champion and course record holder, Mosinet Geremew (ETH), hung on for second in 2:05:24 and Suguru Osako (JPN) smashed the Japanese national record to land on the podium in third in 2:05:50. Repeating a similar theme from the past three years, the top contenders in the women’s field hit the pavement hard from the start and battled out front for as long as they could. 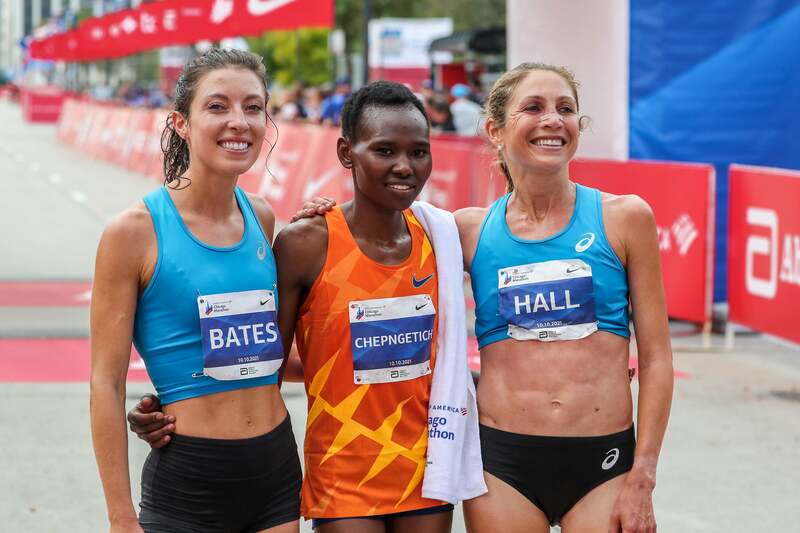 2017 runner up, Brigid Kosgei (KEN), crushed the field when she accelerated before the 20-mile mark and embarked on a solo campaign against the clock to collect her first Abbott World Marathon Majors victory and a new personal best, 2:18:35. Kosgei ran the third fastest time in Chicago Marathon history. 2018 Dubai Marathon champion, Roza Dereje (ETH), ran her second fastest career time to finish second in 2:21:18 and compatriot Shure Demise (ETH) rounded out the top three in 2:22:15.